At the end of each year, Function: gives out a charity donation to an organization of choice. This past holiday season we focused on the idea of building communities. Architecture for Humanity— a team of over 700,000 design fellows and volunteer design professionals providing pro-bono sustainable design services to communities in need in over 26 countries— was the ideal choice for us. 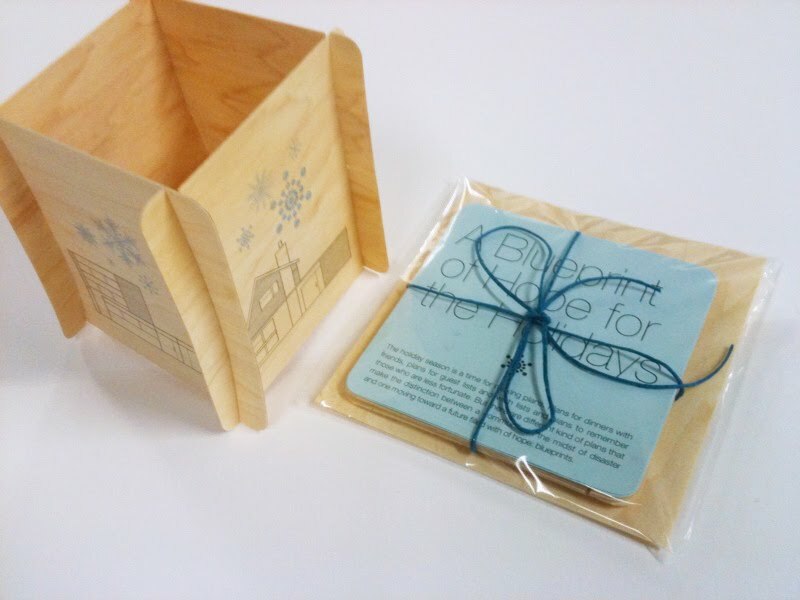 On behalf of all our clients Function: sponsored an architect from Architecture for Humanity for one week and to spread that message we put together a holiday greeting appropriately titled " A Blueprint of Hope for the Holidays" which included four building structure blueprints printed on sustainable wood veneer puzzle pieces that slide together to form your own miniature community of hope for the holidays.